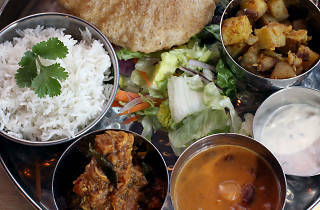 Manchester’s freshest Indian restaurant serves the best in highway diner inspired curries and street food. 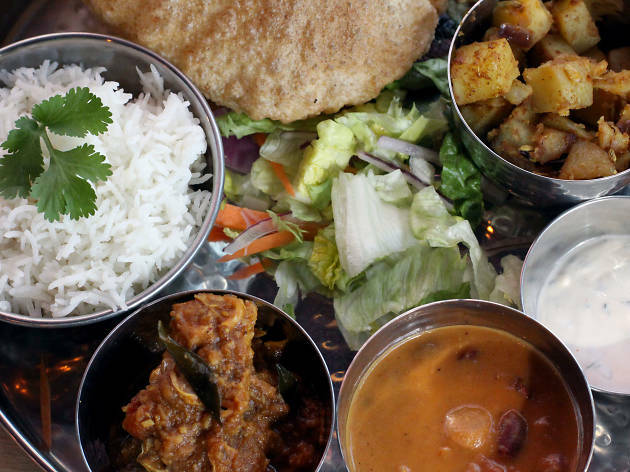 Several of Manchester’s finest Indian and Asian restaurants lie away from Rusholme, and newcomer, Indian Tiffin Room, is the biggest and best. The most obvious reference point is London’s Dishoom, only at ITR the menu focuses on food inspired by India’s famous highway dhabas or diners. 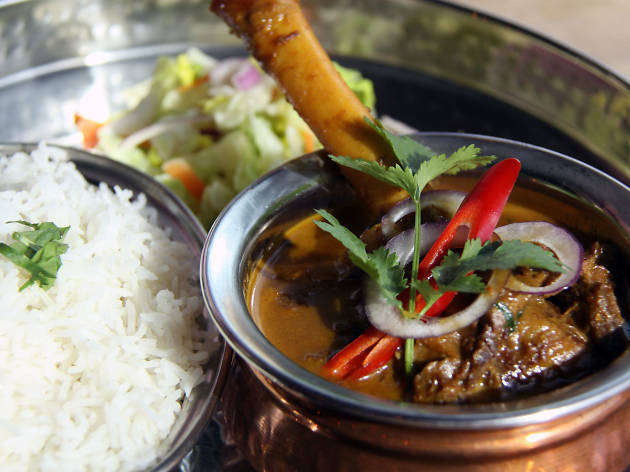 ITR’s vegetarian (or non-veg) lunchtime platters are a step above other upmarket Asian food vendors like Zouk and Mughll while the evening menu includes perfectly balanced creations like the secret recipe ITR Chicken, unctuous Lamb Nalli Nihari and lightly spiced Manglorean fish stew. Cleverly matched beers are served alongside Manchester’s largest range of Indian wines and whiskys. 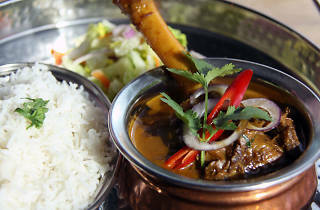 Or accompany your meal with a salty yoghurt and coriander drink (chaas) or homemade almond milk called badom. Milk dumplings, saffron-infused semolin, and everyone’s favourite, kulfi, are perfect endings amid strings of coloured light bulbs and fake greenery.